Couple of tourists sit on a rock and study a paper map, plan a route in a mountain hike. 4k00:07Man hugs a woman on a march, in love. Family married couple of tourists are sitting on a rock and enjoying the mountain view. 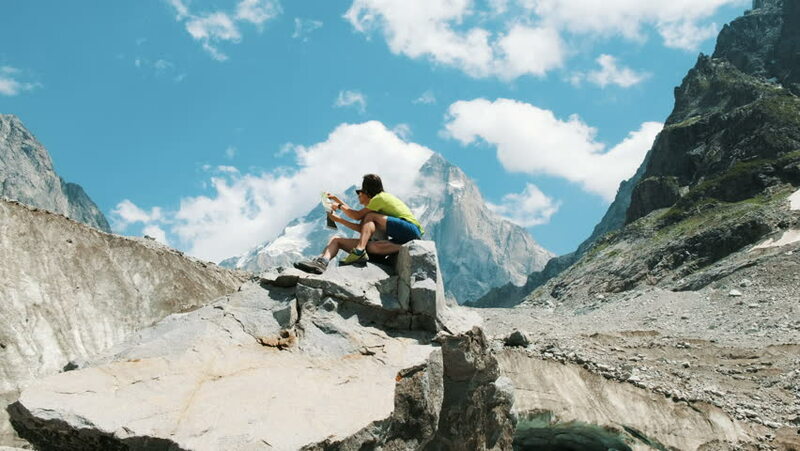 4k00:09Young familie couple of tourists sitting on a rock and are doing selfie on a smartphone in a hike. 4k00:13Married couple of tourists sit on a rock and admire the mountain view. Man hugs a woman in a hike. 4k00:14Couple of tourists sit on a rock and study a map, plan a route in a mountain hike. 4k00:11Family couple of tourists with backpacks in the hike to remove rucksacks on the top in the mountains. 4k00:08A man holds a smartphone in his hands close-up at sunset, the sun's golden rays shine into the park.